Virgin Media is one of the most comprehensive TV and broadband providers around. Between its customers in the UK and Ireland, it’s fitted up 14.9 million homes, 3.1 million mobile customers and 5.9 million cable customers — that’s a lot of downloading, streaming and watching that’s all been done thanks to Virgin Media. Whether you’re into big movies or high concept TV, Virgin has lots to offer you, with the latest releases available alongside some stone cold classics. Over in the phone and mobile sections, you’ll find great deals on handsets and landlines as well as high speed broadband you can rely on. In fact, its fibre optic broadband is world-leading technology that can get you places at speeds of up to 300Mbps. Whether you’re gaming, watching, shopping or just staying connected, there’s nowhere better to be than here. With great bundle options that combine phone, internet and TV packages, Virgin specialises in getting you everything you need in one place. How do I use my Virgin Media voucher code? Can I keep my number when transferring to Virgin Media? Absolutely, follow the steps here to bring your current number over. Can I unlock my Virgin Mobile phone? Yes, subject to meeting certain eligibility criteria. See here for more details. What are the Virgin Media call rates? You’ll find landline call rates here. Where is my nearest Virgin Media centre? Take a look here to find your nearest. Delivery of items will occur the day after ordering, if you’ve ordered before 8pm on a weekday. You can cancel your Virgin Media purchase within 14 days of receipt to receive a refund. Items must be in original conditions and packaging. Click the cancellation form here to begin the process. Virgin Media is a one stop shop for keeping everyone connected and entertained. 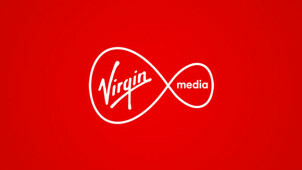 From TV Bundles with every channel you could ever hope for to superfast fibre optic broadband keeping you connected with ease, Virgin Media always delivers. Use the Virgin Media offers from vouchercloud and you’ll be sure to get a great discount on a broadband, TV, phone or mobile deal. With customisable packages and great customer service, there’s nowhere else you’d want to be! With so much amazing TV on offer these days, it can be hard to know where to start. Luckily, Virgin’s ‘What to watch’ section will have you totally up to date with the latest and greatest TV series. From interviews with casts to top 10 countdowns and hidden gems, you’ll find telly highlights for the week ahead and beyond. Never be stuck for what to watch again! Who loves a bundle? We sure do. There’s nothing like getting a bunch of your favourite TV channels in one package that’s exactly right for you: think of it as putting the ‘me’ in Virgin Media. Buy with the Virgin Media voucher codes from vouchercloud and you’ll get a great discount on all the sporting fixtures, high-stakes dramas, reality TV moments and laugh out loud comedies you could ever want on one service.